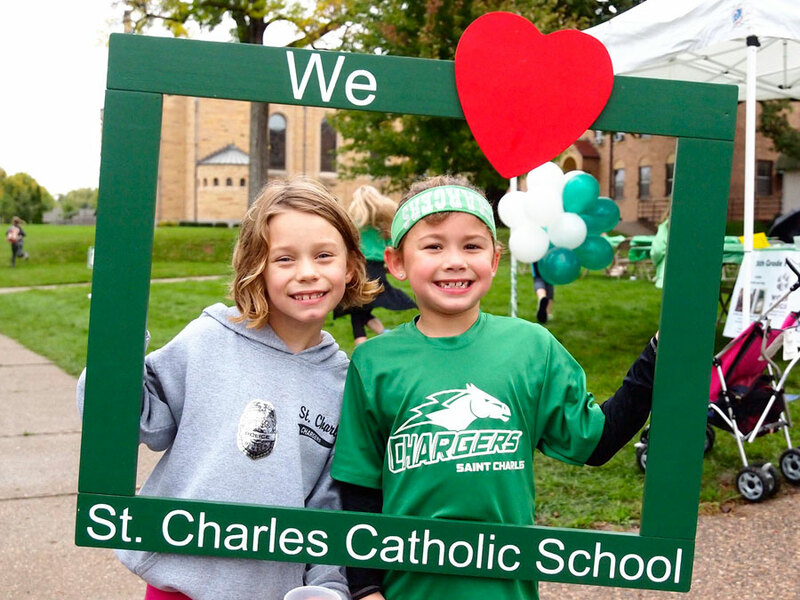 I love working at St. Charles because it is truly the chance to be part of a greater goal: to share the gift of Christ’s love for each of us with the growing generations. I believe that we, as a staff, sincerely view our work as a group effort, in that we work together each day to make the students’ lives richer in academics but, more important, to help them grow closer to God. St. Charles in particular, though, holds a special place in my heart since I attended St. Charles and my mother taught here for many years. How does our faith-based environment affect what you accomplish with kids? 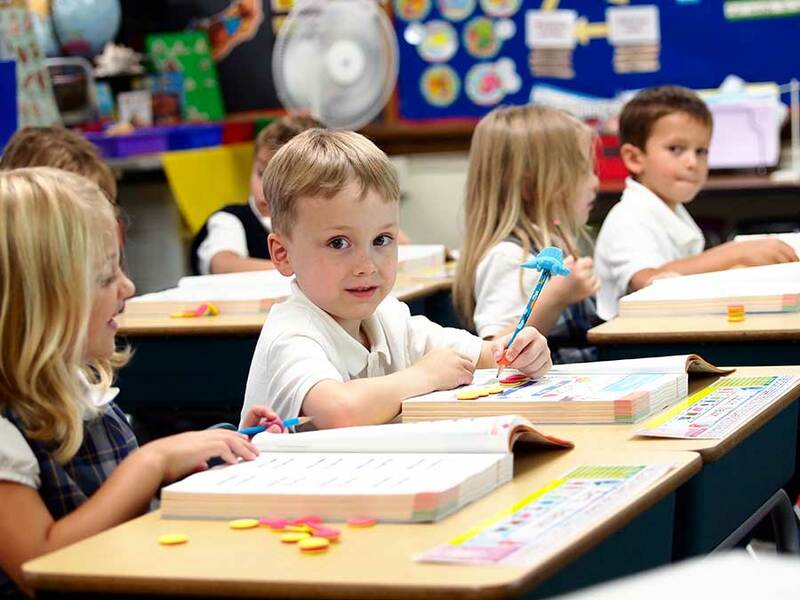 I highly value the opportunity to be able to share my strong Catholic faith with my students every day in many ways – through prayer, in projects, in athletics, and especially in impromptu discussions. As the 1st grade science teacher, I very much enjoy being able to show the great love God has for us in all His creations on Earth! Also, I truly enjoy sharing my faith with the middle school girls whom I coach in volleyball and basketball. 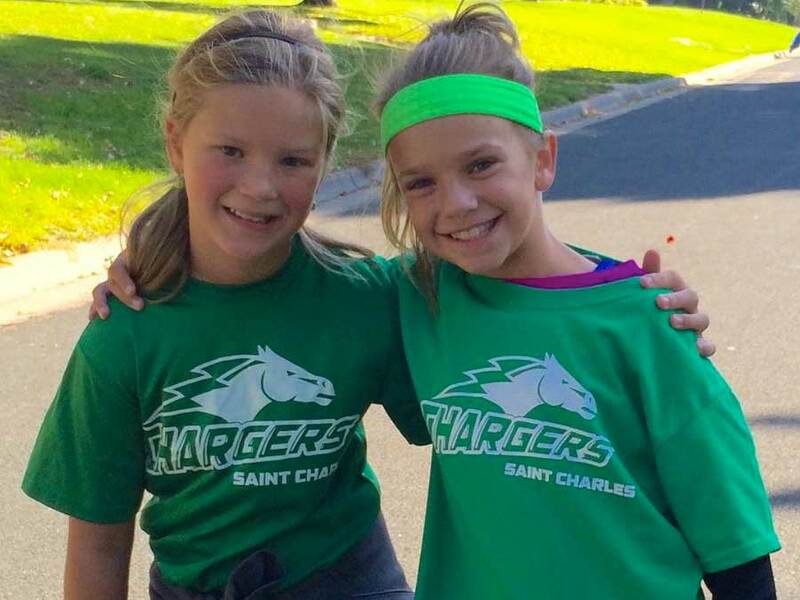 Having the chance to show the older girls how to take their faith out into the world in a concrete way by showing kindness, compassion and good sportsmanship in competition is a gift. It’s amazing to be able to share my faith in word and deed with children every single day. After having taught in a charter school for 12 years, I am enjoying my 6th year as a teacher and coach at St. Charles. 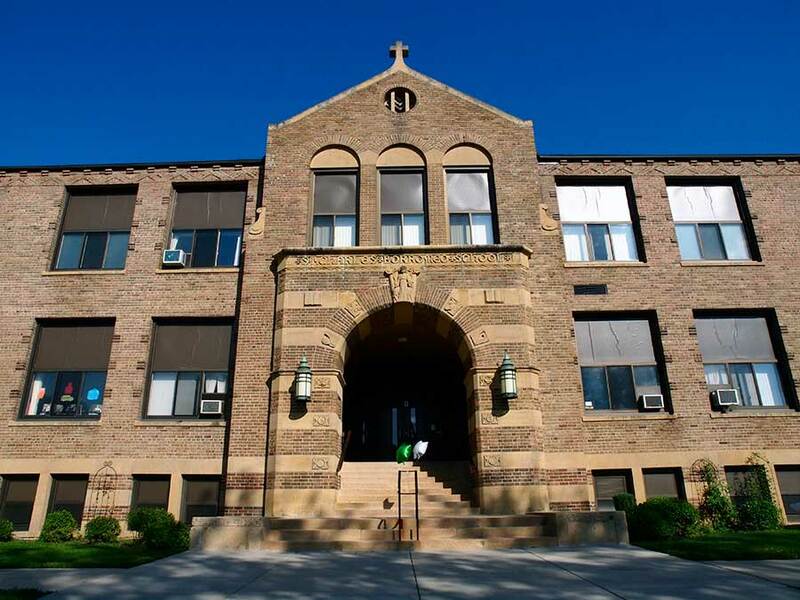 After attending a Catholic elementary and high school, I completed college with a BA in psychology, a K-6 teaching license, and a coaching certificate from Macalester College. I just completed my MA in education from Hamline University this spring. I coached high school volleyball for 18 years at two different schools, and have continued my coaching here at St. Charles in volleyball and basketball. I also play violin with the St. Paul Civic Symphony and happily serve as a musician for our school liturgies, am part of the Liturgical Music team, and play for the Advent Service, the Marian Concert, graduation, and other special events. One last hat I wear is to create the school yearbook, so I am happily taking photos throughout the school year! My husband and I enjoy traveling in the US and abroad, playing sports together, watching movies, and snuggling with our two cats.